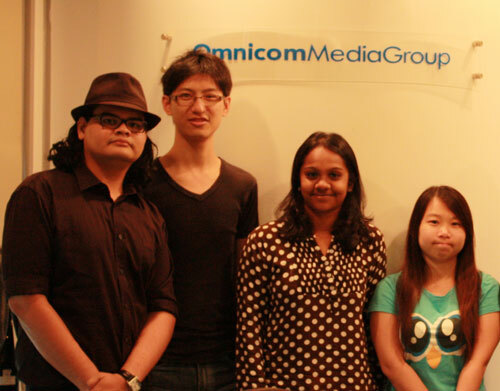 The opportunity to work on a real-life industry project for OMD & PHD (Omnicom Media Group), the world’s most awarded media agency networks, presented a tremendous learning experience for four budding graphic designers from PJ College of Art & Design (PJCAD). Edmond Ha Wan Cheong, Dashenee Huthamaputhiran, Mohamed Rafique bin Ramlan and Tee Yen Hui’s creative input and efforts in the development of a research book entitled Tomorrow Now received praise from Omnicom Media Group’s Managing Director, Andreas Vogiatzakis. “One of the most challenging issues employers have to deal with is the attitude and discipline of employees. These four students have great attitude and discipline. They have never said no, they worked hard and I am very impressed by them,” said Vogiatzakis, who sparked the idea of giving the bright, up and coming students the opportunity to work on the book project. Over a period of two months, the students had to present their ideas for Tomorrow Now, a compilation of research materials that identify the changes that are shaping Malaysia’s marketing landscape and consumer behavior trends. 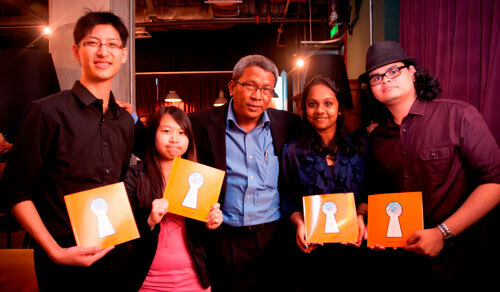 Edmond Ha, Yen Hui, Dashenee and Mohamed Rafique pose with the book Tomorrow Now with Jess Tinawin, INTI’s Senior Director, Employer Relations. “Our idea was to come up with a design that was less corporate and more artistic that people would want to pick up and read. We incorporated visual elements and made it more appealing,” said Ha who was very proud of the team’s achievement. “We are from the same programme at PJCAD but we had never worked as a team before and we each had different ideas and working styles. The project provided a great learning curve for us as a team even as we developed our individual skills,” said Dashenee. All four team members agreed that they had learnt much from the experience, including in areas related to copyright and other legal aspects of design and publication. Under the guidance of OMD & PHD’s mentoring team, their communication and presentation skills have also seen a marked improvement. PJCAD’s Diploma in Graphic Design is a comprehensive 3-year programme that includes specialized areas of studies in Typography and Editorial Design, Packaging Design, Illustration and Desktop Publishing, Photography and Advertising Design. Students are provided the opportunity to study a wide range of design processes and develop their technical skills and problem-solving sensibilities to appropriately carry out design projects. “Helping students connect artistic techniques and personal expression is a challenge and an important aspect of the teaching of creative arts and design. We train students to see themselves as artists deeply involved in the creation process. When they work collaboratively on projects towards a common goal, this has the additional benefit of promoting values such as confidence, responsibility and commitment to community,” said David Liew, Chief Executive of PJCAD. PJCAD is a member of INTI, which in turn is a part of Laureate International Universities – the world’s largest private education network. Students considering PJCAD will not only benefit from the years of experience and strong track-record that INTI offers, but also gain from the global synergy and resources that Laureate provides. Laureate has a presence in 29 countries, and serves more than 700,000 students globally.